 Wouldn’t it be nice to have a time machine? A simple question reveals an upbeat message for local, non-stop flights to “magical” Florida attractions. 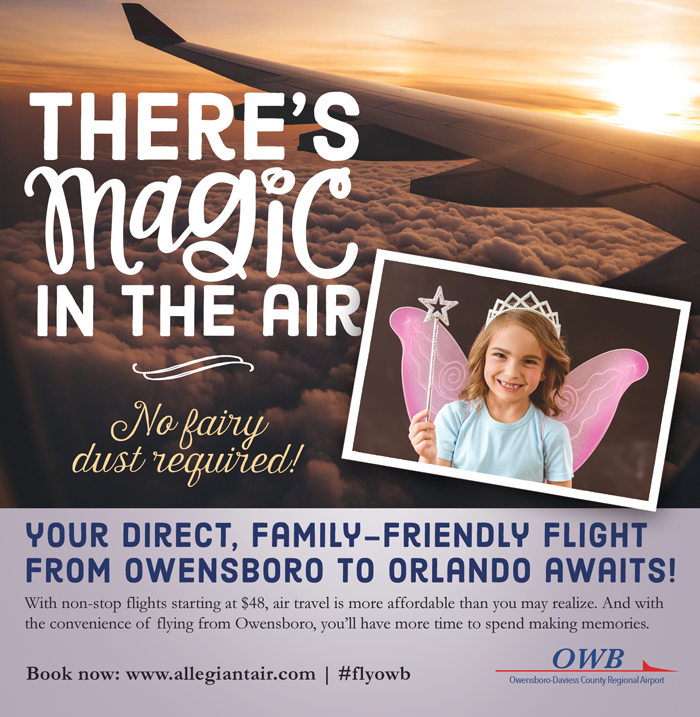 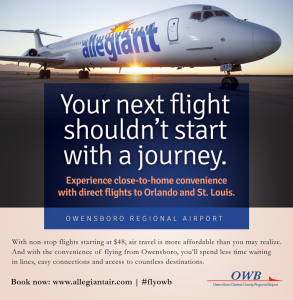 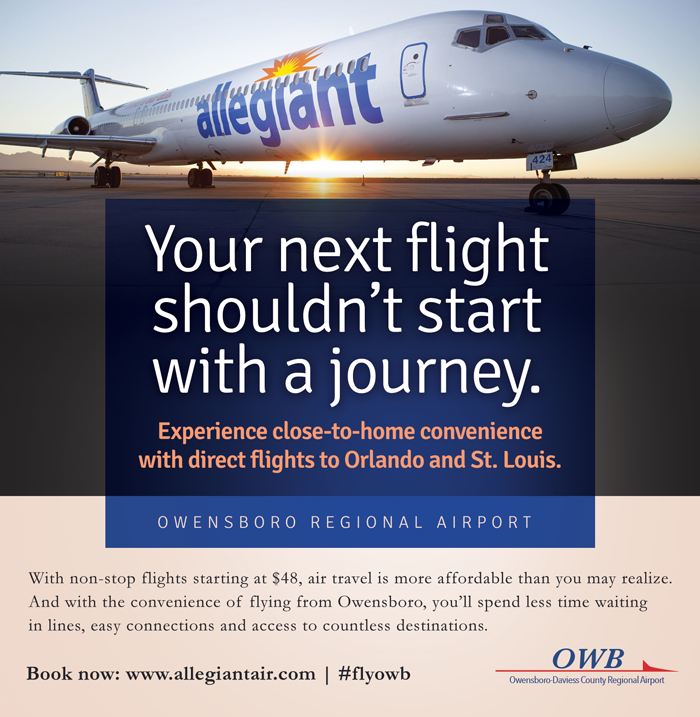 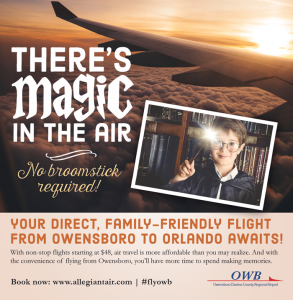 We worked with the Owensboro-Daviess Regional Airport on a complete ad campaign including this tv spot filmed on location at the airport.